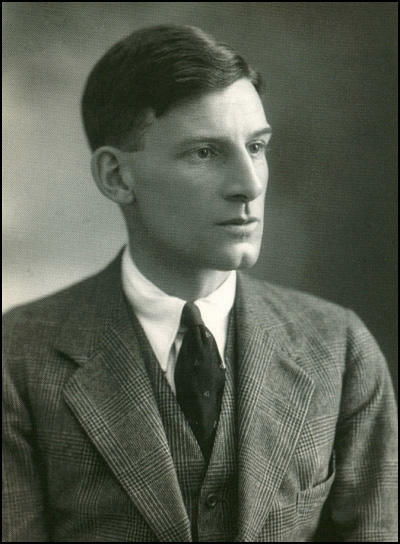 Siegfried Sassoon, the second of the three sons of Alfred Ezra Sassoon (1861–1895) and his wife, Georgiana Thornycroft Sassoon (1853–1947), daughter of Thomas Thornycroft was born on 8th September 1886 at Weirleigh, near Brenchley in Kent. Alfred Sassoon was a wealthy Jewish businessman but he died of tuberculosis when Siegfried was a child and he and his brothers were brought up by their mother and her talented family (both her parents were artists). Siegfried later recalled he had a lonely childhood: "As a consequence of my loneliness, I created in my childish day-dreams an ideal companion who became much more of a reality than such unfriendly boys as I encountered at Christmas parties". Sassoon was educated at Marlborough College and Clare College. It was while he was at Cambridge University that he realised he was an homosexual and had a serious sexual relationship with a fellow student, David Cuthbert Thomas. He left without a degree and for the next eight years lived the life of a country gentleman. He spent his time hunting, playing sports and writing poetry. Published privately, Sassoon's poetry made very little impact on the critics or the book buying public. On the outbreak of the First World War Sassoon enlisted as a cavalry trooper in the Sussex Yeomanry. In May 1915 Sassoon became an officer in the Royal Welch Fusiliers, and was posted to the Western Front in France. While in France he met the poet, Robert Graves, and the two men became close friends. In November 1915 Sassoon's younger brother Hamo Sassoon was killed in the Gallipoli Campaign. Four months later, his former boyfriend, David Cuthbert Thomas, was killed in France. These deaths inspired such poems as The Last Meeting and A Letter Home. Considered to be recklessly brave, Siegfried Sassoon acquired the nickname "Mad Jack". In June 1916 he was awarded the Military Cross for bringing a wounded lance-corporal back to the British lines while under heavy fire. Later he was unsuccessfully recommended for the VC for capturing a German trench single-handedly. After being wounded in April 1917, Sassoon was sent back to England. Sassoon had grown increasingly angry about the tactics being employed by the British Army and after a meeting with Bertrand Russell, John Murry Middleton and H. W. Massingham, he wrote Finished With War: A Soldier's Declaration, which announced that "I am making this statement as an act of wilful defiance of military authority because I believe that the war is being deliberately prolonged by those who have the power to end it. I am a soldier, convinced that I am acting on behalf of soldiers. I believe that the war upon which I entered as a war of defence and liberation has now become a war of aggression and conquest. I believe that the purposes for which I and my fellow soldiers entered upon this war should have been so clearly stated as to have made it impossible to change them and that had this been done the objects which actuated us would now be attainable by negotiation." In July 1917 Sassoon arranged for a sympathetic Labour Party MP to read out the statement in the House of Commons. It was also published by Sylvia Pankhurst in her newspaper, The Woman's Dreadnought. Instead of the expected court martial, the under-secretary for war declared "A breach of discipline has been committed but no disciplinary action has been taken, since Second Lieutenant Sassoon has been reported by the medical board as not being responsible for his action, as he was suffering from nervous breakdown." Sassoon was sent to Craiglockhart War Hospital, near Edinburgh. During his three months there he made two important friendships: the psychologist and anthropologist W. H. R. Rivers, and the young poet Wilfred Owen, whom he encouraged and helped, and worked with on the hospital's literary journal, The Hydra. Sassoon suggested that Owen should write in a more direct, colloquial style. Over the next few months Owen wrote a series of poems, including Anthem for Doomed Youth, Disabled and Dulce et Decorum Est. Until he met Sassoon his few war poems had been patriotic and heroic. Under the influence of Sassoon his thoughts and style changed dramatically. During this time he wrote: "All a poet can do today is warn. That is why the true Poets must be truthful". Jon Stallworthy has pointed out: "The older poet's advice and encouragement, showing the younger how to channel memories of battle - recurring in obsessive nightmares which were a symptom of shell-shock - into a poem such as Dulce et decorum est, complemented Dr Brock's ‘work-cure’. The final manuscript of Anthem for Doomed Youth carries suggestions (including that of the title) in Sassoon's handwriting. Owen's confidence grew, his health returned, and in October a medical board decided that he was fit for light duties." Sassoon's hostility to war was also reflected in his poetry. During the First World War Sassoon developed a harshly satirical style that he used to attack the incompetence and inhumanity of senior military officers. These poems caused great controversy when they were published in The Old Huntsman (1917) and Counter-Attack (1918). 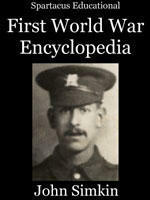 Edgell Rickword, was one of those soldiers who read Sassoon's poems during the war. He later recalled how the poems came as a revelation of how war could be dealt with "in the vocabulary of war" and gave him "a start towards writing more colloquially, and not in a second-hand literary fashion". Adam Hochschild, the author of To End All Wars (2011), has pointed out: "His protest soon dropped out of the newspapers. His time in the hospital produced no dividend for the peace movement, but an enormous one for English literature. A fellow patient was the 24-year-old aspiring writer Wilfred Owen, recovering from wounds and shell shock, to whom the older Sassoon offered crucial encouragement. Owen became the greatest poet of the war. The War Office had been extremely shrewd. After three months in the hospital whose services he did not need, Sassoon found himself increasingly restless. Finally he accepted a promotion to first lieutenant and returned to the front. He did so not because he had abandoned his former views, but because, as he put it in his diary when he was back with his regiment in France, I am only here to look after some men. It was a haunting reminder of the fierce power of group loyalty over that of political conviction-and all the more so because it came from someone who had not in the slightest changed, nor ever in his life would change, his belief that his country's supposed war aims were fraudulent." Despite his public attacks on the way the war was being managed, Sassoon, like Wilfred Owen and Robert Graves, agreed to continue to fight. Sassoon was sent to Palestine. In May he rejoined his old battalion in France, and in July 1918 was wounded again, this time in the head. and France before further injuries forced him to return to England. Owen however was killed at Sambre–Oise Canal on 4th November 1918. A week later the Armistice was signed. Sassoon became a socialist and in March 1919 George Lansbury appointed him as the literary editor of the left-wing The Daily Herald. During this period Sassoon recruited Edmund Blunden, David Garnett, Katherine Mansfield, Havelock Ellis, Virginia Woolf, Robert Graves, Edgell Rickword, Wyndham Lewis, Aldous Huxley, Roy Campbell, Lascelles Abercrombie and A. E. Coppard. Sassoon's biographer, Rupert Hart-Davis has claimed: "All his life Sassoon kept copious diaries. Those for the years 1920–25 show him torn politically, the possessor of a private income with an uncomfortable socialist conscience; torn artistically, preferring eighteenth-century poetry to that of his modernist contemporaries, and longing - but unable - to write a Proustian masterpiece; and torn emotionally by a succession of disappointing homosexual relationships." In the late 1920s Sassoon turned to writing prose. He wrote the semi-autobiographical books, Memoirs of a Fox-Hunting Man (1928) and Memoirs of an Infantry Officer (1930). Although he had enjoyed a long-term relationship with the writer, Stephen Tennant, Sassoon married Hester Gatty on 18th December 1933. They settled at Heytesbury House, near Warminster in Wiltshire, where Sassoon spent the rest of his life. Their son, George Sassoon, was born in 1936. Other books by Sassoon included Sherston's Progress (1936) and three volumes of autobiography, The Old Century (1938), The Weald of Youth (1942) and Siegfried's Journey (1945). In 1948 he published a critical biography of George Meredith, and all the time he was writing poetry, published in private or public editions, which culminated in the Collected Poems (1961). According to Rupert Hart-Davis: "Sassoon was strikingly distinguished in appearance, his large bold features expressing the courage and sensitivity of his nature, and he retained his slimness and agility into old age, playing cricket well into his seventies. A dedicated artist, he hated publicity but craved the right sort of recognition. He was appointed CBE in 1951, and was pleased by the award of the queen's medal for poetry in 1957 and by his honorary degree of DLitt at Oxford in 1965, but he pretended that such honours were merely a nuisance. A natural recluse, he yet much enjoyed the company of chosen friends, many of them greatly his juniors, and was a witty and lively talker. He loved books, pictures, and music, and was a brilliant letter writer." Siegfried Sassoon died at his Heytesbury home on 1st September 1967, and was buried in Mells Churchyard, Somerset. Ways that were rich and gleeful and filled with love. To live where Honour gave us life to lose. (2) Siegfried Sassoon described in his diary details of a patrol into No Man's Land that took place on 25th May 1916. Twenty-seven men with faces blackened and shiny - with hatchets in their belts, bombs in pockets, knobkerries - waiting in a dug-out in the reserve line. At 10.30 they trudge up to Battalion H.Q. splashing through the mire and water in a chalk trench, while the rain comes steadily down. Then up to the front-line. In a few minutes they have gone over and disappeared into the rain and darkness. I am sitting on the parapet listening for something to happen - five, ten, nearly fifteen minutes - not a sound - nor a shot fired - and only the usual flare-lights. Then one of the men comes crawling back; I follow him to our trench and he tells me that they can't get through. They are all going to throw a bomb and retire. A minute or two later a rifle-shot rings out and almost simultaneously several bombs are thrown by both sides; there are blinding flashes and explosions, rifle-shots, the scurry of feet, curses and groans, and stumbling figures loom up and scramble over the parapet - some wounded. When I've counted sixteen in, I go forward to see how things are going. Other wounded men crawl in; I find one hit in the leg; he says O'Brien is somewhere down the crater badly wounded. They are still throwing bombs and firing at us: the sinister sound of clicking bolts seem to be very near; perhaps they have crawled out of their trench and are firing from behind the advanced wire. At last I find O'Brien down a deep (about twenty-five feet) and precipitous crater. He is moaning and his right arm is either broken or almost shot off: he is also hit in the right leg. Another man is with him; he is hit in the right arm. I leave them there and get back to the trench for help, shortly afterwards Lance-Corporal Stubbs is brought in (he has had his foot blown off). I get a rope and two more men and go back to O'Brien, who is unconscious now. With great difficulty we get him half-way up the face of the crater; it is now after one o'clock and the sky is beginning to get lighter. I make one more journey to our trench for another strong man and to see to a stretcher being ready. We get him in, and it is found that he has died, as I had feared. Far from being thrown in jail, Sassoon was ordered to wait in a hotel in Liverpool. While there, he angrily threw his Military Cross ribbon into the River Mersey-but with no audience, the gesture went unreported. Instead of the public stage he had hoped for, Sassoon was sent off to the comfortable surroundings of a rehabilitation hospital for shell-shocked officers in Scotland. His protest soon dropped out of the newspapers. His time in the hospital produced no dividend for the peace movement, but an enormous one for English literature. A fellow patient was the 24-year-old aspiring writer Wilfred Owen, recovering from wounds and shell shock, to whom the older Sassoon offered crucial encouragement. Owen became the greatest poet of the war. The War Office had been extremely shrewd. After three months in the hospital whose services he did not need, Sassoon found himself increasingly restless. Finally he accepted a promotion to first lieutenant and returned to the front. He did so not because he had abandoned his former views, but because, as he put it in his diary when he was back with his regiment in France, "I am only here to look after some men." It was a haunting reminder of the fierce power of group loyalty over that of political conviction-and all the more so because it came from someone who had not in the slightest changed, nor ever in his life would change, his belief that his country's supposed war aims were fraudulent.